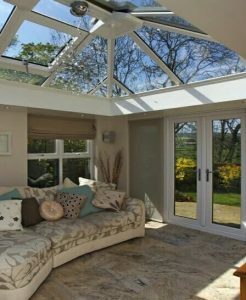 What are the differences in a Conservatory Vs Orangery? When it comes to home extensions, orangeries and conservatories are, quite literally, a household name for solutions when it comes to being a solution to the need for extra space around the home. 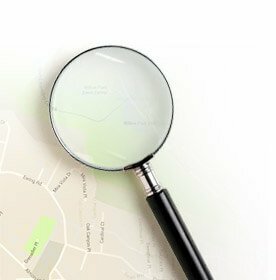 Whilst they are both property extensions, orangeries and conservatories have fundamental differences that we can explore below. 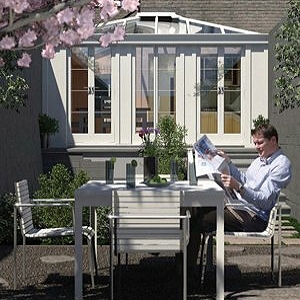 What are the main differences between a conservatory and an orangery? Orangeries apparently made their first appearance before conservatories. The idea of this type of home extension (or standalone room), was born around the seventeenth century. An orangery was basically a room in which the affluent society of the time grew citrus fruits. This primary use finally brought about the name orangery. Working similarly to a greenhouse, the orangery provided optimal conditions for citrus plants to grow whilst protecting the fruit from adverse weather. In time the orangery transformed into more of a luxury room in which horticultural plants are grown for aesthetic appeal. As it embraced greater use of glass walls and roofs, it became what is today known as a conservatory. 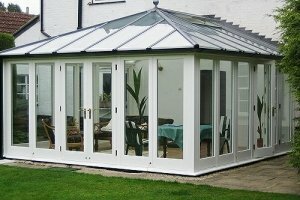 This would therefore make conservatories more of an adaptation of the original “greenhouse” purpose of orangeries, but put to more versatile uses. The structure of the orangery usually incorporates prominent use of bricks that blend in to the rest of the house. In a lot of cases that means that the orangery does not appear like a totally different structure and just simply “added on” afterward, more like the original property has been itself extended to form the addition to the house. 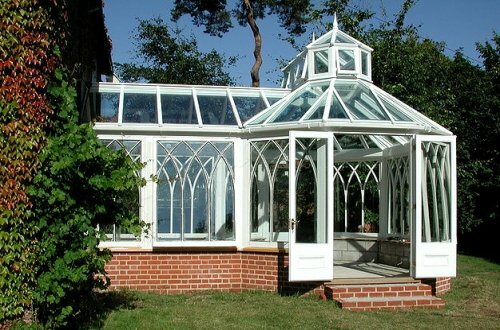 Conservatories embrace a structure mostly made of glass. The idea is to let in as much light as possible and allow you the view of the outside with a few barriers as practical. 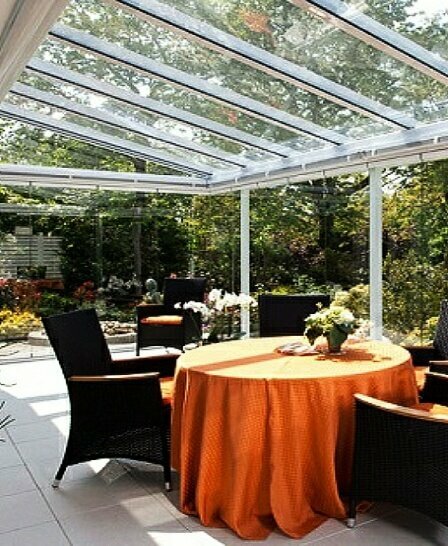 The roof of an orangery is originally flat but with a raised centre glass “lantern” section. This flat roof features hidden guttering. 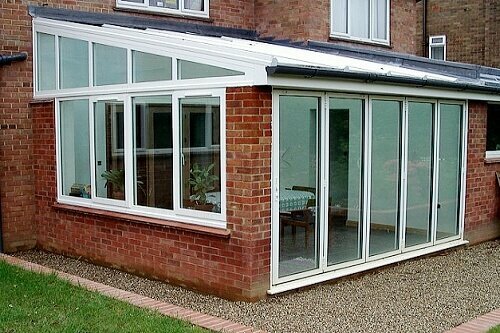 Conservatories always have sloping or apex shaped roof designs and the gutters are visible. Can be tailor made to your preference. Has a variety of pre-set styles to choose from. Uninhibited view of the garden. Differs from the main house in design. Some can be cold in winter, hot in summer. Provides extra space for versatile uses. Blends in with the rest of the house. You decide how much glass to use. Best of both worlds; a traditional extension & conservatory features. Sometimes provides less natural light. More expensive than a standard conservatory. Conservatories and orangeries can basically take the same designs. 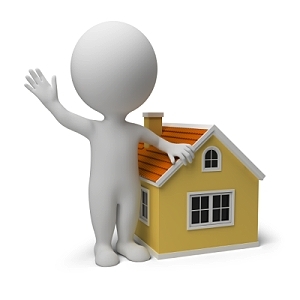 The difference will just be in the building material that makes up the structures. Two of the designs available for both, include the Victorian design. This is a traditional period style with many windows and it is suitable for those who like ornate rooms. The Edwardian style, unlike the Victorian, this design rarely possesses an over-embellished appearance. Use of bold lines gives it a more contemporary appeal than the Victorian. So, which is best. 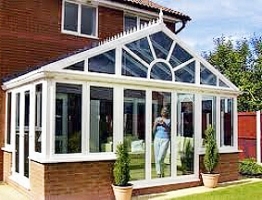 Orangery or Conservatory? The suitability of a conservatory or an orangery for use as a home extension will greatly depend on personal taste, available space, budget and what you want the room to do for your home. 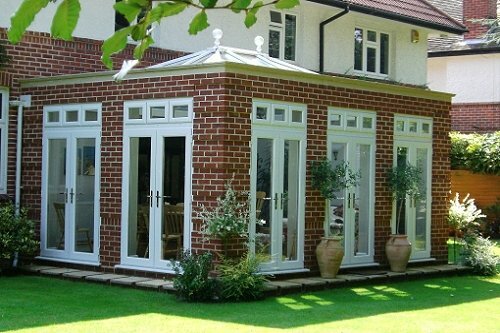 If you want some grandeur and solidity, then orangery designs could well be the best for you. You also need a decent size plot to build one on. 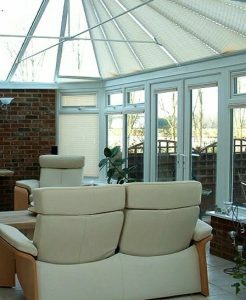 Budgetary wise, you will normally need a bigger budget for an orangery than a conservatory. How much does the average conservatory or orangery cost? An orangery will usually range between £15,000 and £50,000 depending on the size, the materials used, the style applied and so on. 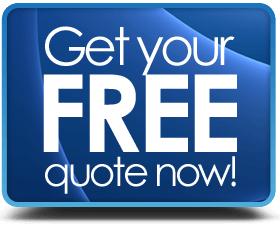 A conservatory will usually range between £7,000 and £20,000 depending on size, style, roof type and other specifications as per your needs.